St Louis - Aclara, a leading supplier of smart infrastructure solutions (SIS) to electric, gas and water utilities worldwide, will introduce ZoneScan II Next Generation, its latest distribution leak detection technology, at AWWA ACE 2018, Booth 23091. ZoneScan II Next Generation represents a leap forward in leak detection technology for water distribution systems by leveraging the existing network infrastructure. Using the existing Aclara advanced metering infrastructure (AMI) network, ZoneScan II eliminates the time and additional expenses associated with the need to build a parallel network. Fully integrated through the Aclara RF fixed-network AMI, ZoneScan II helps water utility operators more quickly and efficiently locate leaks within a few feet using a full system correlation of the sensor data. ZoneScan II’s ability to identify leaks even before they surface helps reduce non-revenue water loss as well as service disruptions on the distribution network and also furthers conservation efforts by containing leaks. 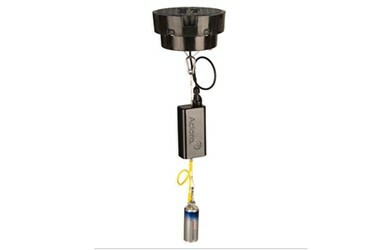 ZoneScan II is an easy-to-install, maintenance-free, turnkey technology that mounts easily in any standard valve stack. This installation position, which is unique to ZoneScan, offers the best direct access to pipes for retrieving the highest quality acoustic readings. Remote, network-wide correlation of the acoustic sensor data via web-based software at the utility eliminates hand-held correlation and visually identify high probability leak locations. ZoneScan II is designed for every pipe material. The highly responsive correlation algorithm considers acoustic differences between material types including metal, concrete and plastics, for more accurate leak identification. The longest battery life in the industry, which results in longer intervals between replacements and field visits, thus reducing maintenance costs. Improved self-diagnostics with regular health monitoring that ensures the system consistently operates at peak performance. “Aclara ZoneScan II combines the benefits of leading-edge leak detection technology with the operational efficiencies of a full turnkey solution. The technology takes acoustic leak detection on water distribution systems to the next level,” said Josh Chaise, vice-president of product management/water, Aclara. The ZoneScan II system will be on display at the booth with demonstrations throughout the day. In addition, Aclara will highlight other products and services including AMI communications, the AclaraONE™ (One Network for Everyone) software platform, the Aclara Adaptive Consumer Engagement (ACE®) platform, and the ProField® suite of integrated EPR tools for smart grid planning, meter deployment management, and post-rollout operations.